Completion of the Warri-Port Harcourt-Eket section of the East West Road would require an additional N100 billion. The Honourable Minister of Transportation, Rotimi Chubuike Amaechi, disclosed this on Thursday while inspecting the East-West road in company of Minister of Niger Delta, Usani Uguru Usani. He said contractors handling the section I-II of the project stretching from Warri-Port Harcourt said they would need additional N57 billion to complete the project, while the contractors handling the Port Harcort-Onne-Eket end would need additional N43 billion to complete the work. The expansion and rehabilitation of the Warri-Kaima-Port Harcourt-Eket-Oron stretch was awarded during the Olusegun Obasanjo’s administration since 2006 has been delayed due to non-release of funds. Amechi disclosed that the project has been divided into five sections with section one consisting of Warri-Kaima (87km), section two consist of Kaimai to Port Harcourt (101km), while section three – Port Harcourt-Eket (100km), section four-Eket- Oron (60km), while section five stretches from Oron-Calabar. He said the contractors handling the project include Setraco Nigerian Limited, Cantata and Sawoe Construction Company of Nigeria Limited, Julius Berger Nigeria Plc., PWNigeria Limited and Stemco Nigeria Limited. 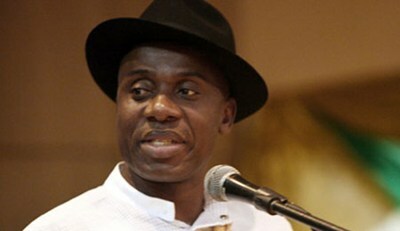 Amaechi, however, alleged that the opposition was playing politics with the expansion of the East-West road from Warri, Delta to Calabar in Cross River State. Speaking in company of Usani, after inspecting the Delta-Port Harcourt section of the road, he told reporters that his initial knowledge was based on what opponents were saying that the ruling party had not done anything for the South –South region, and especially the road.